Ron de la Bey (Purmerend, 1959) is a freelance musician. His main instruments are pedal steelguitar and dobro. He is working in the field of (Christian) Country Music. In daily life Ron works in the ICT. 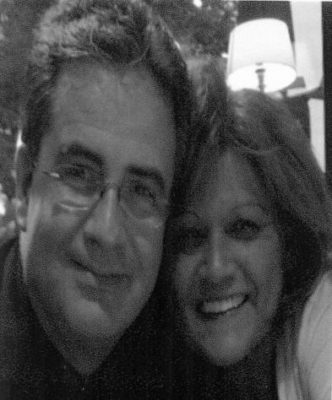 Ron started his musical career at age 10 by taking guitar lessons from the well-known guitarist Cor Baan. He studied classical guitar and electric bass. In 1981 he got his first pedal steel guitar. He enrolled in the Jeffran College of Pedal Steel Guitar in Hermitage, Tennessee in 1983, 1984 and 1985 under the guidance of the renowned pedal steel instructor Jeff Newman. In 1986, he studied at the steel school of the famous steelplayer Herby Wallace in Chattanooga, TN. While in high school Ron began to perform in bands in the mid 70’s playing bass. During 1981-1982 he was the bass player of the gospel group Relite-The Band and The Singers. Since 1983, Ron has played the pedal steel in various Country Music bands and Christian Country Music groups in the Netherlands and performed on Country Music Festivals and Gospel Festivals in several countries like Germany, England, Scotland, France, Belgium and Israel. 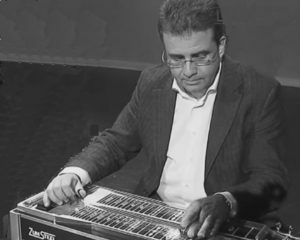 In 1989, 1990 and 1992, Ron was invited to play at the International Steelguitar Convention in Oudewater. In the early 90’s Ron worked for a few years as a stand-in for several bands in the Indo Rock scene. 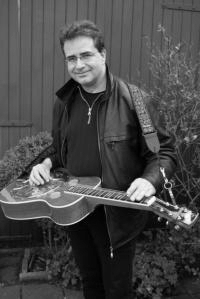 Ron has been playing dobro since 2003 after he took a dobro home on one of his trips to the U.S.A. Ron has appeared on many CD productions and works as a freelance musician. Jessy Dixon (2002), Lynda Randle (2006), Russ Taff (2006), The Isaacs (2007, 2010), Buddy Greene and Jeff Taylor (2008), The Hoppers (2009), Stephen Hill and Woody Wright (2008, 2009, 2010, 2011), Woody and Vonnie Wright (2010, 2011), Stephen Hill (2010), Charlotte Ritchie (2011), Reggie and Ladye Love Smith (2011), Stig (Sweden, 2011) and Gordon Mote (2013, 2015, 2016).